In the late nineteenth century, public officials throughout the United States began to experiment with new methods of managing their local economies and meeting the infrastructure needs of a newly urban, industrial nation. Stymied by legal and financial barriers, they created a new class of quasi-public agencies called public authorities. Today these entities operate at all levels of government, and range from tiny operations like the Springfield Parking Authority in Massachusetts, which runs thirteen parking lots and garages, to mammoth enterprises like the Tennessee Valley Authority, with nearly twelve billion dollars in revenues each year. 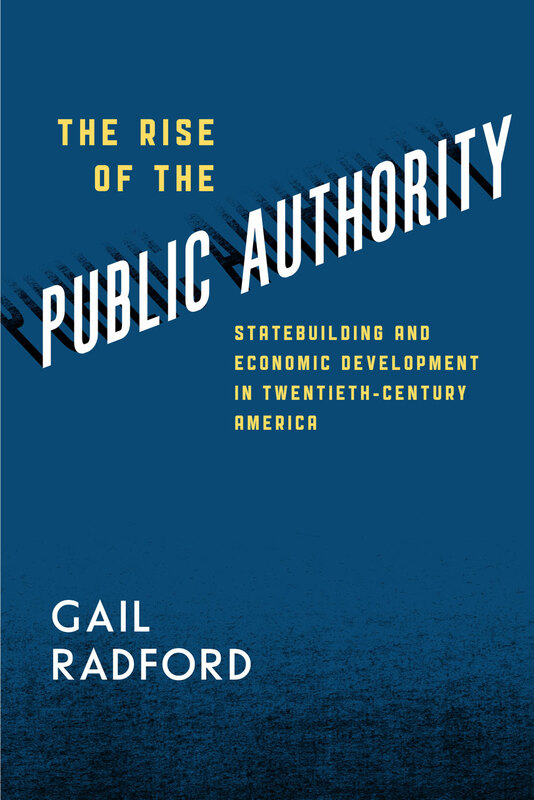 In The Rise of the Public Authority, Gail Radford recounts the history of these inscrutable agencies, examining how and why they were established, the varied forms they have taken, and how these pervasive but elusive mechanisms have molded our economy and politics over the past hundred years. "At a time when many Americans express a deep frustration with government in the United States, Gail Radford provides a crucial new perspective on how the American state actually works—and into how that state was built. Rise of the Public Authority breaks down conventional categories of American political development by tracing a critical form of state capacity that operates across federal and subfederal levels of government and, more often than not, out of the public eye. Gail Radford makes this rarely recognized and even less understood capacity vitally clear." "Gail Radford is an imaginative student of American statecraft whose probing narrtaive has put an otherwise prosaic set of agencies and institutions close to the center of our understanding of statebuilding. By explaining how quasi-governmental state authorities became such a pervasive part of the way virtually every level of government finances its activities, Radford unlocks a puzzle: how so many Americans can both distrust their state and also insist upon an ever-expanding set of governmental services. This is an important and provocative book."